Have you just upgraded to a larger monitor, and noticed ghosting images and slow data transmission? 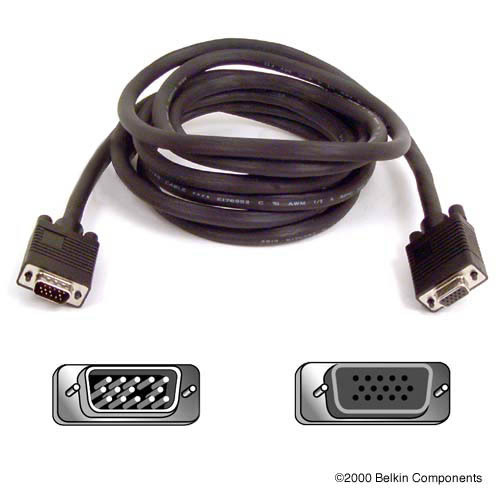 The Belkin Pro Series High Integrity VGA/SVGA Monitor Extension Cable will make the flow of data faster, and the resolution of your images crystal clear. The Pro Series High Integrity Monitor Extension Cable extends the length of your high-resolution multimedia monitor cable with a HDDB15 connector to your PC. Perfect for monitors with short cables.